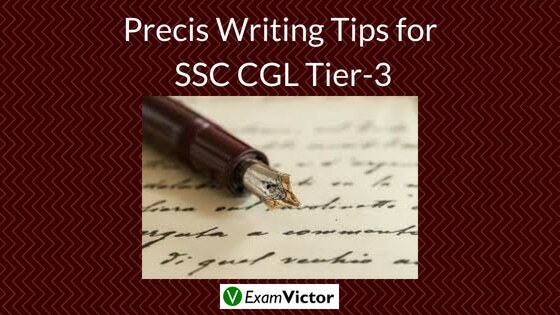 SSC CGL Tier-3 focuses on writing skills of candidates. So, we have provided a complete post which helps you to write attractive Precis. A Precis is a miniature summary of a passage in which you should retain essential points in your own words. The one aspect that you should keep in your mind is that you do not add any new information to it, but should retain the same opinions given by the author. As far as writing is concerned, one should write correct and effective points. How to prepare for Precis Writing? What should be the Structure of a Precis?